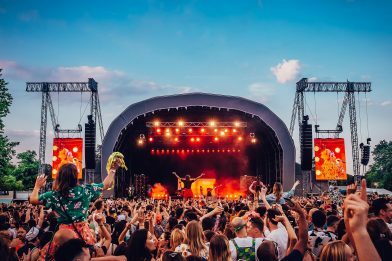 On Sunday Mighty Hoopla welcomed 16000 partygoers to a sun-soaked Brockwell Park for the festival’s first edition in South London. The festival was a sellout success, with pop-royalty Melanie C slaying hits and boyband heartthrobs 5ive getting the crowd going. 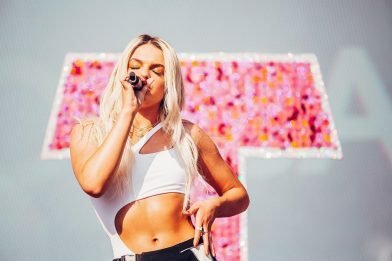 X-Factor queen Louisa also put on a spectacular show, while Lily Allen’s tongue-in-cheek bangers were the perfect sunset soundtrack. 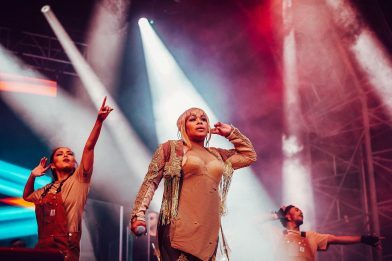 The icing on the cake was a history-making set from headliners TLC as the biggest selling US girlband performed their UK festival debut. 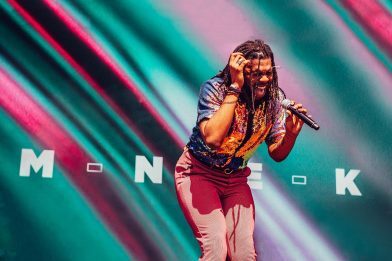 A triumphant day of love, pop and glitter-coated acceptance, Mighty Hoopla further established itself as the most fabulous festival in London. 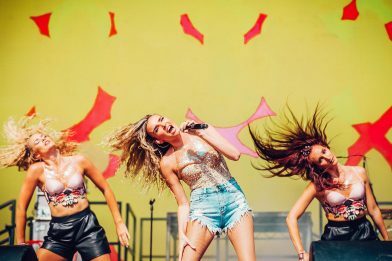 From pop legends Vengaboys, Nadine Coyle and Louise, to UK garage originators DJ Luck & MC Neat and festival favourites Nimmo, Mighty Hoopla once again proved itself to have the most diverse, star-studded and inclusive lineup on the scene. 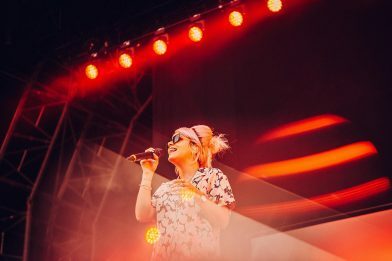 The always energetic Sink The Pink Stage enjoyed wall-to-wall singalongs, with Lily Allen, MNEK, TLC and more keeping the crowd moving, shaking and screaming the lyrics to an illustrious back catalogue of pop bangers. The party was also popping over at the Guilty Pleasures Stage, with the Vengabus in full throttle as the Vengaboys delivered an early highlight to the day. Old Dirty Brasstards’ set was full to the brim with classic covers, while B*Witched provided a welcome serving of nostalgic hits. Belinda Carlisle headlined the stage, her set proving that heaven truly is a place on earth. Elsewhere, the unparalleled DJ Luck & MC Neat did what they do best and got the crowd bouncing with a garage set like no other. Meanwhile, VIPs were treated to very special DJ sets from the likes of Gok Wan, Fearne Cotton and Mel Blatt. Aside from the music festival goers were also treated to some of the best food and drink London has to offer. Venn Street Market, Street Feast and Fat Gay Vegan hosted Arancini Bros, Mother Clucker, Cheeky Burger, Crabbie Shack and a myriad of other tasty street food traders, while Camden Town Brewery headed up the bars and London Brewer’s Market, hosted by The Five Points Brewing Company, showcased the city’s finest brewers including Bullfinch Brewery and Orbit Beers. A festival that places total acceptance at the forefront with day of sun and glitter-soaked fun, Mighty Hoopla welcomed people from every walk of life with a celebration of UK’s thriving alternative club culture, thriving in community spirit. Bring on next year!